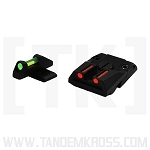 Get the best upgrades for Ruger® SR22® with the TANDEMKROSS captured spring guide rod. *Now featuring a new and improved double spring for increased force & performance! 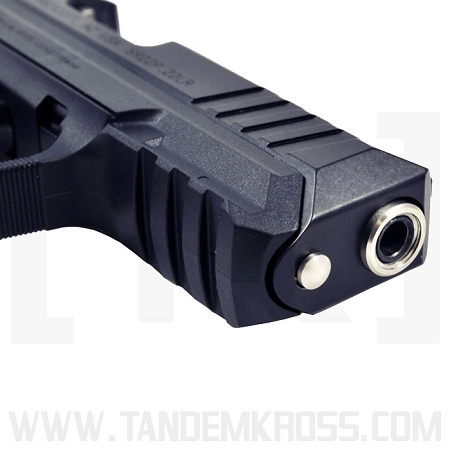 * The TANDEMKROSS Captured Spring Rod for the SR22® is an excellent upgrade for your Ruger® SR22®. The guide rod is made of stainless steel to last a lifetime and the improved spring is stronger and 'captured' so it is easier to install and won't get lost. 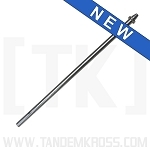 Best of all, the TANDEMKROSS Captured Spring Rod has smooth stainless steel polished "nose" on it -- no unsightly screw like other brands. 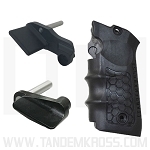 By replacing your factory guide rod with the TANDEMKROSS Captured spring rod, you will see less up and down movement of the slide as it is stiffer than the plastic factory rod. 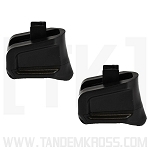 This is a simple drop-in replacement that will improve the performance of your Ruger® SR22®. 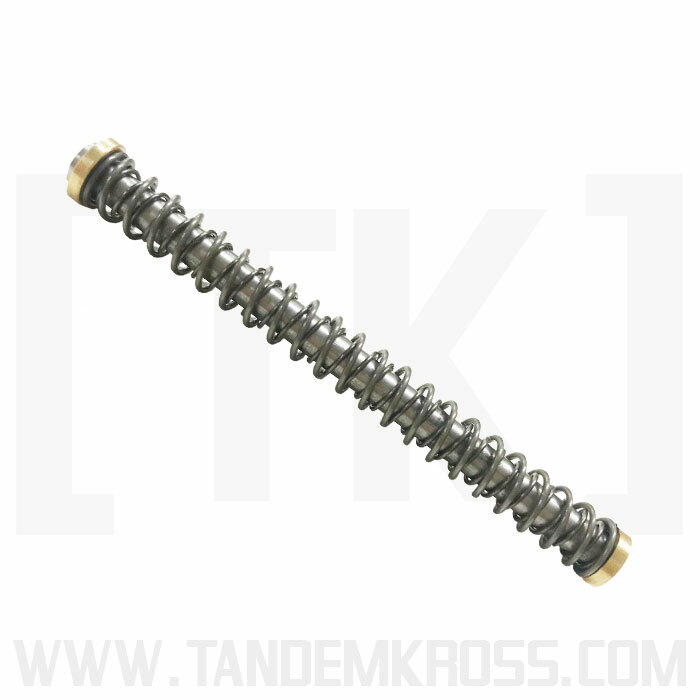 As with all TANDEMKROSS products, the SR22® captured spring comes with a lifetime guarantee. I have a little over 200 rounds downrange with the captured spring rod installed. I no longer feel the front-to-rear wobble of the slide while cycling. This improvement of repeatability of the slide travel is beneficial to both accuracy and reliability. This is a great cost-effective upgrade for the Ruger SR22 that also makes field stripping and reassembly simpler. A "Must Have" IMHO. I received my Sr22 captured spring rod today (sooner than expected) and couldn't be happier with the purchase. Installation was simple, improved the looks (personalizing it), and seems to make the slide operate more positively and efficiently. Thank tou! 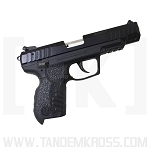 This is no doubt the easiest mod you can make to any gun. Super easy. Performance seems to be a little better now. Excellent quality product. Q: Does this guide spring will fit both a 3.50 inch barrel and a 4.50 inch barrel? A: The Sentinel Captured Spring will fit both the 4.5 inch and 3 inch barrel.